For the purpose of this conversation, I’m going to refer to some important numbers: 68.8, 24.7, and 10,000. They will come into play later on, but I want get them on the table now. Before we take a closer look, I’d like to answer some commonly asked questions. People often ask me, “How long will this plan take before I see results?” I have two answers to that question, both of which are true, and yet neither seem to satisfy the person asking. The first answer is that fitness plans don’t come with a clock. Anyone who says they have a product that guarantees exact results in a specified amount of time isn’t speaking to fitness. They are selling unreasonable expectations for little effort and lots of money. The truth of fitness is more complex than those products admit. Without a clock, fitness is measured by effort. I understand that people will impose a countdown on their goals. They want to look good before a special event or the start of a new season. When placed in that situation, I don’t rifle through my catalog of 1-year, 10-month, 6-month, and 90-day fitness plans. Instead, I walk them through their availability and commitment to movement, and then we take a look at their diet. From there, I help them manage their expectations. The other answer to the “How long” question is: you’ll see results immediately. Now you’re thinking, “Didn’t he just say that fitness professionals don’t guarantee results in a specific time frame?” If you’ll recall my article on Power, you’ll remember that we celebrate every good decision and every small step in the right direction. You know what those celebrations are? Results. You made an effort, and as a result, you have something to feel good about. Should you attend one of our sessions and go home and get on the scale? That’s a trick question, I told you to get rid of that scale. Put another way, will you see measurable, physical results in the mirror after only a few sessions? Of course not. Do you see why I said the answer to this question isn’t satisfying? Let’s take a look at one of those numbers I mentioned earlier: 10,000. Studies indicate that it takes 10,000 hours to become an expert in anything. What have you spent 10,000 hours doing? Do you play an instrument? Are you specially licensed to practice law or medicine? Are you an elite athlete? If we divided how you spend your time into the following categories: Sleeping, Working, and Everything Else, how much of Everything Else is dedicated to making you an expert at something? I once heard a story about a man in a failing business discussing the issue with his business partners. Each in their turn explained what they were doing while the company was losing money. Each accounted for their time and contribution, assured they were not the problem. He concluded the meeting by saying, “Well, if this is where we wanted to be, I supposed we’ve all behaved perfectly.” How have you behaved to gain the expertise in becoming who you are? What if your 10,000 Everything Else hours were spent planning meals and being intentional about exercise? To put it another way, how have we all been perfectly behaving to end up where we are? Before I can answer that, we have to talk about the next number on my list: 68.8. 68.8% of Americans are medically obese. That means that almost 70% of us are experts at a lifestyle that is going to kill us. We’ve spent our 10,000 hours with a lot going on around us. It seems overwhelming sometimes when you consider what it takes to make those changes in our lives. It’s because standing in the Zero Hour of a 10,000 Hour journey seems too daunting that we stress celebrating your Power and not results bought from the internet. That’s where the third number comes in: 24.7. Let’s see that number in its full glory. 24,700,000,000. Add the dollar-sign to that and you have the revenue generated by the fitness industry in America every year. $24.7 billion is a lot of fitness dollars for a country facing an obesity crisis. How is it possible that so much money is going into an industry with such a low rate of success? Does the discrepancy between fitness revenue and fitness culture speak to faulty products? Perhaps a little. But there’s not really anything wrong with gyms and gym memberships and supplements. It may surprise you to hear me say that most diet plans are not inherently flawed. So, what’s the problem? Let’s meet my friend Jenni. She is currently following the guidelines set forth the in the Keto Diet. She’s lost about 25 lbs and looks great. She says she feels great, and it shows. She looked up the rules of the plan and stuck to them. I knew she could do it because before that she did great on Whole 30. Before that it was Adkins, paleo, and The South Beach Diet. All of those programs were successful for Jenni. That is, until they weren’t. Does the fact that she switched from one to another, with her weight fluctuating throughout, indicate a problem with those systems? It does not. What it does reveal is the common denominator in all of the systems that Jenni tried, which was Jenni. For those of us who don’t plan our diets and our commitment to exercise, I have some news. Not having a plan is a plan. Just as not making a decision is a decision, moving forward without a plan is a design for failure. The fittest athletes in the world live their lives according to a plan. Their plans are so intentional, we apply words like, “regimen” and “system” to them because of their exact nature. Do you have room in your life for a workout regimen? Can you see working a meal system into your life? Put into those terms, it’s easy to be intimidated. What most people don’t realize is that they already have a regimen and a system. They rise and rest in the same pattern day in and day out. They eat according to long-established habits, traditions, and often, as an after-thought. What most of us need to realize is that people who live a healthy lifestyle aren’t so different from the folks who need to make some changes. Both groups of people have habits. The systems I mentioned above, and others like them, are often successful for reasons other than the unique markers of that system. In fact, the number one reason most diet plans are so successful early in their adoption is that they bring about a new awareness. Sometimes, the mere act of tracking what we eat is a huge step in the right direction. In the article I wrote about Focus, I mentioned that it wasn’t until I started an honest daily log of my food consumption that I began to see the desired results. When we go down the path of diets like Keto or Whole 30, the first thing we do is track our current intake to see what can stay and what must go. That step typically provides break-through moments for my clients. Common sense plays a role here. If I laid out a list of everything you’ve eaten this month, the odds are you can separate the bad from the good. The next natural step is eliminating the bad and making room for more of the good. So, just as Jenni was the common element in all of those failed diets, the first common element in the successful steps is planning. A systems analyst I know says that the first step of improving a process is making an “As Is” assessment. She carefully documents every step, start to finish, of a production line. Then she goes back and looks for defects. A defect is any step in your process that doesn’t move the process forward or must be repeated in order to be effective. If we make an As Is map of the 68% of us in the obesity category, in light of a $25 billion fitness industry, I assure you the defects will present themselves clearly. You’ll see unattainable expectations, reliance on the product and not the effort, and a lack of forgiveness coupled with a delay of celebration. When I work with my clients who miss a week of exercise, I let them know how glad I am to see them. We celebrate their decision to return because mourning the missed sessions doesn’t do anyone any good. If a client feels down because they haven’t seen the desired results, I point out the results they may have missed. They don’t always recognize their increased energy, the fact that they’re sleeping better, or that their confidence has grown significantly. The fitness industry uses words like: visible abs, younger looking bodies, toned muscles and then they marry those goals to time frames like “in just Six Weeks.” It’s no wonder we get so down about ourselves when we don’t hit those goals. I’m going to leave you with one last number: 1. 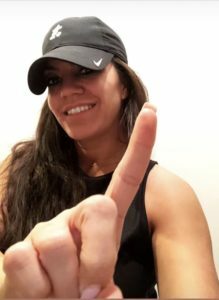 One is a powerful number in the fitness world and it is often overlooked or dismissed for not being enough. I’m a huge fan of One. One is the first distinguishing number from Zero. One is an expression of the first of many, or the One more at the end. It is the number of decisions you can take to make a small difference. One glass of water instead of sugary soda, One mile of walking instead of zero, One pat on the back from a friend who knows you’re trying to get healthier. One can lead to another One. Don’t get overwhelmed by 2, 3, 4, and 5. Whether it’s the reps in a set, days in a week, or miles in a race, let’s start with One and then add another One. Let’s take One step toward joining the 30% of the population who have reduced their risk of heart disease and diabetes. Come along with us as we spend One hour against 10,000 toward becoming experts at Focusing on our Process and celebrating our Power. One can make a world of difference, and you’re the One to make that decision. Let’s make it together. Include us in the celebration of your good choices. Folllow us on Facebook, Twitter (@ptfitness), and Instagram (@ptfitnessdfw), share #oneatatime so we can encourage and celebrate with you. See you soon!